The Clara native, 25, agonisingly missed out on an early Masters invitation when he finished 2012 ranked 52nd in the world - a mere 0.04 points outside the top 50. But while he dreams of playing Augusta National and the PGA Tour and even of a Ryder Cup cap, he knows he must keep his head down and not get distracted by the big prizes that are within his grasp. 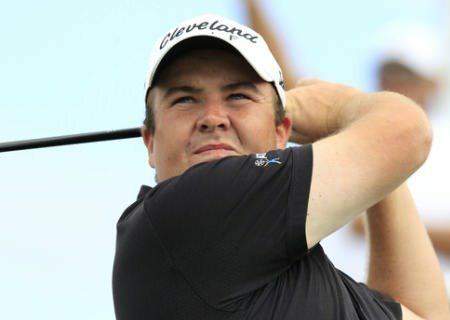 Set to join Pádraig Harrington, Darren Clarke and Michael Hoey in the elite, 33-man Volvo Golf Champions in Durban this week, Lowry said: “I’ll just see how I do week to week. As I said before, I think I am going where I am going and I am going to be a top 50 player in the world at some stage. “When that is going to happen, I don’t know. It could happen this week or next week or the week after but I am sure it will happen and I have just got to stay patient play as well as I possibly can. “When you have this ranking, you can put pressure on yourself and play badly. But I am joust going to go out and play golf and see how I get on. “The short-term goal is to get into the Masters, play in all the majors and the big tournaments. “The main goal would be to go out and compete at the highest level and try to get another win. “I feel the way I played at the end of last year is good enough to compete on any tour. There are no major changes that are needed. Lowry gave up the chance to chase his PGA Tour card at the US Q-School at the end of last year to concentrate on making it into the big time through the world’s top 50. Illness scuppered his hopes of getting the job done before Christmas when he picked up a bug and ended up in a Dubai hospital during the season-ending finale. But after winning his first pro title in Portugal in October, Lowry knows he’s ready to step up to the next level and compete with the game’s elite every week. And with his place in next month’s 64-man WGC-Accenture Match Play looking secure, he’s hoping to make a fast start in South Africa, Abu Dhabi and Dubai over the next month so he can earn the top 50 ranking that would open the door to some of the biggest events in the world. “My next three months depends on how I do these over the next three weeks,” Lowry said. “If I am in the top 50 I will be in the Masters, Bay Hill, the Players and hopefully my manager can get me a couple of invites. “I am obviously into the WGC in Akron again and I will be in the US PGA and hopefully the US Open. Hopefully I will play a bit over in the US this year and get my card. “I’m a better player than before, more mature, and I definitely feel I can compete out there in America. Lowry may seek an invitation to the Honda Classic in March, where stablemate and world No 1 Rory McIlroy will be defending the title. And if he qualifies for the Masters, he will have his eye on the pre-Augusta events in Florida and Texas. Making a Ryder Cup team is another goal and Lowry admits that he’d love to play under an Irish skipper at Gleneagles in 2014. He said. “It’s a big goal but there is a lot of golf to be played between now and the start of the qualifying and between then and the Ryder Cup. “I just have to see how I get on this year. I’d love to make that team in 2014 but it’s not for me to say who should be captain. “It’s between Darren Clarke and Paul McGinley and I think the two lads would be great. Personally I think Paul should get this one and Darren should get the next one but who knows they way they are going to vote. Irish Open hero Shane Lowry has big game on his mind at Leopard Creek. The Offaly ace tees off the 2010 European Tour season in the Alfred Dunhill Championship in South Africa on Thursday. But rather than the lion, leopard, elephant, rhino and buffalo roaming the nearby Kruger National Park, he’s gunning for the world ranking points and more dates with top cat Tiger Woods. Shane Lowry shares a laugh with the head chef at the Tivoli Victoria following his win in the Portugal Masters at Vilamoura. Photo Eoin Clarke/www.golffile.ieShane Lowry, roared on by a huge Irish contingent in the Vilamoura crowd, finally tasted victory as a professional with a thrilling one-shot win in the Portugal Masters. Planet Lowry. Shane celebrates his second European Tour win. 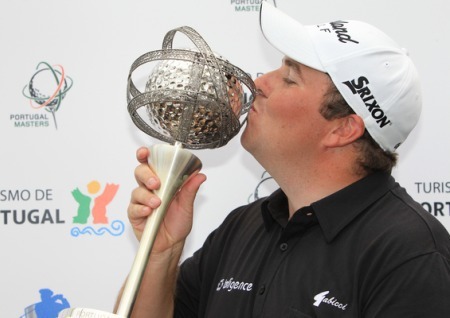 Photo Eoin Clarke/www.golffile.ieShane Lowry is not normally one for changing but his thrilling Portugal Masters victory has convinced him to shelve plans to tee it up in the PGA Tour Qualifying School next week and seek his place in the elite through the top 50 in the world rankings. Pádraig Harrington is thinking beyond the world’s top 50 but getting back there would be a positive step for the Dubliner after spending the past 18 months outside the game’s top ranked players. 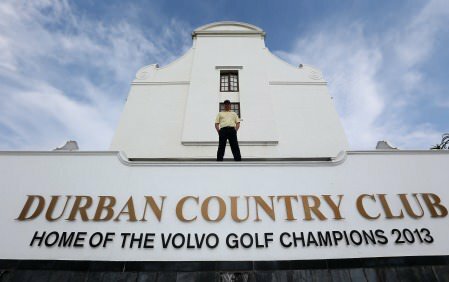 Picture by Getty ImagesStarting 2013 with a win might be a big ask but Pádraig Harrington and Shane Lowry could be in the world’s Top 50 tomorrow night following hot finishes to their third rounds in the Volvo Golf Champions in South Africa. Carton House professional Shane Lowry is excited about June’s Irish Open. Picture by Eoin Clarke/www.golffile.ieShane Lowry is keeping his fingers crossed that his world rankings obsession hasn’t cost him the chance to face the likes of Rory McIlroy or Tiger Woods in this month’s WGC-Accenture Match Play. Where will McIlroy be in 2018?